This was a film version of the popular Broadway Show and co-starred John Raitt and most of the original cast. Considered one of the best transfers of Broadway to film, the soundtrack album reached the Top Ten. Employees of the Sleeptite Pajama Factory are looking for a whopping seven-and-a-half cent an hour increase and they won't take no for an answer. Babe Williams (Doris) is their feisty employee representative but she may have found her match in shop superintendent Sid Sorokin (John Raitt). When the two get together they wind up discussing a whole lot more than job actions! Sid (John Raitt) has just been hired as superintendent of the Sleeptite Pajama Factory in Cedar Rapids, Iowa. He soon falls for Babe (Doris Day), a worker in the factory and member of the employee union's leadership. At the company picnic they become a couple, but Babe worries that their roles in management and labor will drive them apart. She is correct. The union is pushing for a raise of seven-and-one-half cents per hour to bring them in line with the industry standard, but the factory's manager is giving them a runaround. In retaliation, the workers pull a slow-down and deliberately foul up the pajamas, but when Babe actually sabotages some machinery, Sid fires her. Meanwhile, Sid has been wondering what secrets the manager is hiding in his locked account book. To that end, he takes Gladys (Carol Haney), the boss' assistant, on a date to the local hot spot, "Hernando's Hideaway," despite her insanely jealous boyfriend 'Hine-sie' (Eddie Foy, Jr.). He gets Gladys drunk, and in this state, she lends him the key to the locked book. Returning to the factory, Sid discovers that the manager reported the raise as having been instituted months ago. He has been pocketing the difference himself. Sid threatens to send the book to the board of directors if the raise isn't paid immediately. At the union meeting that evening, the manager agrees to the raise. When Babe realizes that it was Sid who engineered the raise and that he has only been attempting to avoid labor strife, she returns to him. Mae: We ain't giving up nothing! Katie 'Babe' Williams, Grievance Committee: Wait a minute, don't you see? We've won! The soundtrack reached the Top Ten in Billboard’s Top Albums. 39 percent of the cast is from original Broadway production. 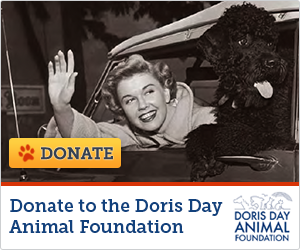 A song written specifically for Doris Day, "The Man Who Invented Love" (music and lyrics by Richard Adler), wound up on the cutting-room floor. Currently, the recording can be listened to on the soundtrack CD from Collectables, and the footage can be watched on the DVD from Warner Home Video. Frank Sinatra turned down the lead role in The Pajama Game (1957), which would have paired him up with Janis Paige, who played the role on Broadway. As a result, Paige lost out on playing the part to Doris Day, who was considered a bigger box-office draw. This was John Raitt's only leading film role. This is the only film in which Carol Haney had a speaking part. In all her other films she was strictly a dancer. Here's a scene that never made it to the final movie, Doris singing "The Man Who Invented Love".